Sleek on the outside and airy on the inside, this modern home features a skylight that runs across the entire length of the property. 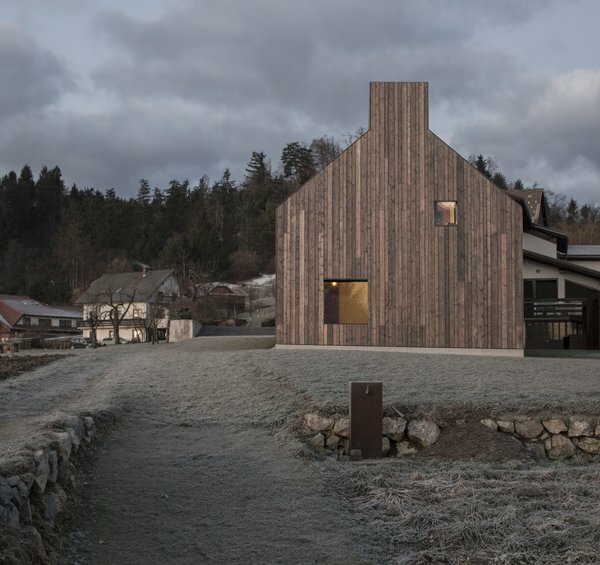 Inspired by the unique characteristics of chimneys found in the small town of Logatec, Slovenia, Dekleva Gregorič Architects has designed a modern 2,207-square-foot home that wonderfully complements its historic neighbors—a wooden barn and an adjacent 16th-century church. 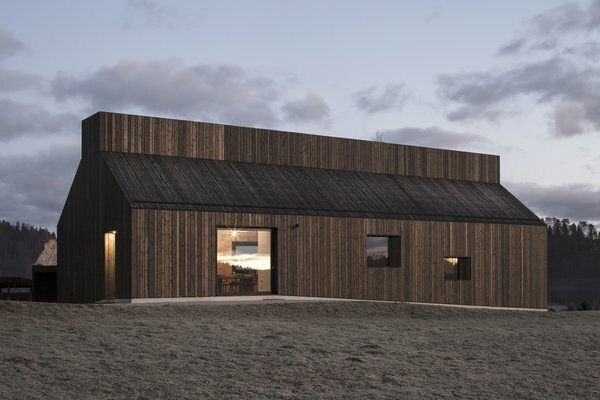 The exterior facade is clad in oiled larch boards—a traditional finish for surrounding barns in the area—and features a sleek, minimalist interior. Named The Chimney House, the home’s layout is organized around a multifunctional wooden stove, while its distinctive form is associated with an illuminating skylight that runs along the length of the property. 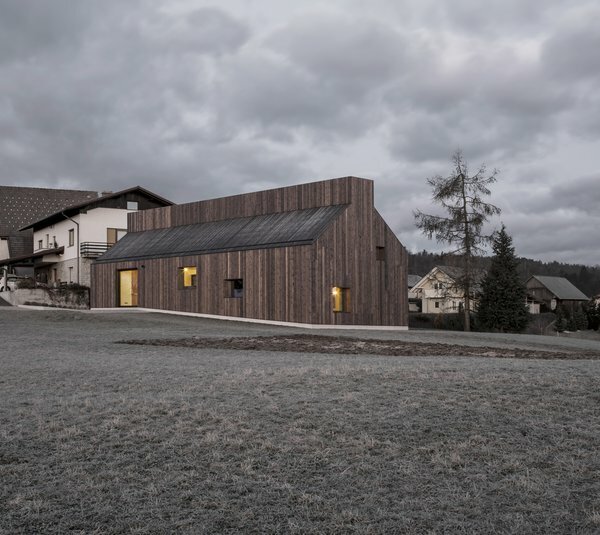 “The building’s envelope is developed as a thick wall, integrating multiple storage spaces, a secondary kitchen, and small ‘inhabitable’ window niches that carefully curate incoming light and expanding views to the surroundings,” explains the project’s architect, Aljoša Dekleva. Square-shaped windows frame views of the quiet village and beyond. 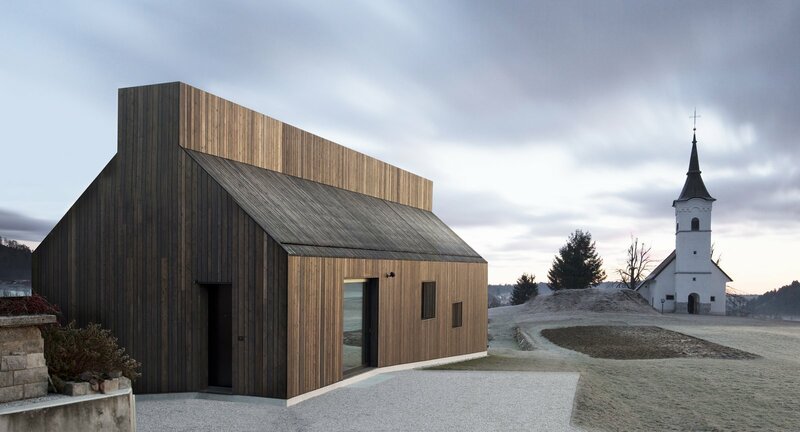 The gable silhouette of the house harmonizes with its rural setting.